January 2, 2013 -- Tim installed a high efficiency water heater and did some minor maintenance on the humidifier and furnace. 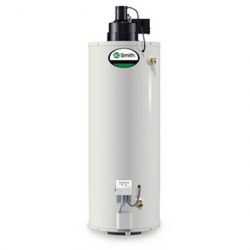 I was referred to Portman Mechanical by a website that I was doing water heater research on. He was local to me so I thought I would at least talk to him. Tim replied right away to my email request. We set up an appointment and he was right on time. Tim checked out the situation and took the time to listen to what I wanted to accomplish. He made a recommendation and also pointed out some other areas that he had concerns about. Tim gave me a ballpark figure and said I would have an estimate later that evening. The next day, the estimate was in my email inbox. I looked it over and it was very close to the ball park figure he had given me. In addition, the estimate listed other work that Tim recommended. The estimate was very easy to read and we decided on what work to do. At no time did Tim try to pressure me into the other work that he noticed. We set a date and Tim showed up on time to get started. Shortly afterwards, Mike showed up with the water heater. I work from home and my office is in the basement. Tim and Mike were working about fifteen feet from me and never did I have to interrupt work. I could hear them, but it was never a problem. Based on the time they were here, and the cost of the products, I was very surprised at the overall cost of the services. I would have expected it to be much more than it was. I have already emailed Tim to let him know that when it comes time to do the other work he recommended, he will get the job. 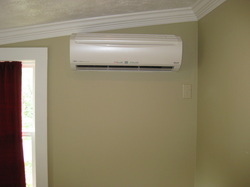 From start to finish I was very impressed with Tim's patience, professionalism, and overall quality of the work. I would highly recommend Portman Mechanical. The next day, a small problem was encountered with the furnace, the igniter had cracked. Tim had Mike show up first thing in the morning and resolved the issue. Igniters have been an ongoing issue with this furnace through the years and even though I am sure that Mike did not damage it during his inspection, they still replaced the part for only the cost of the part. You could tell it was about ready to go my looking at it. In the 12 years we have been in this house, this is the fourth igniter. I usually keep an extra on hand.